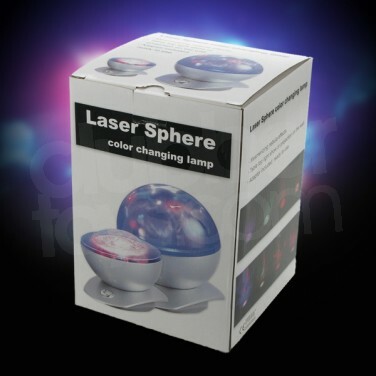 Laser Sphere Projector uses coloured LED lights and red lasers create stunning mood lighting effects in either it's own sphere-diffuser or projected onto your walls. Laser Sphere Projector creates beautiful mood lighting effects in either it's own sphere-diffuser or projected onto your walls. 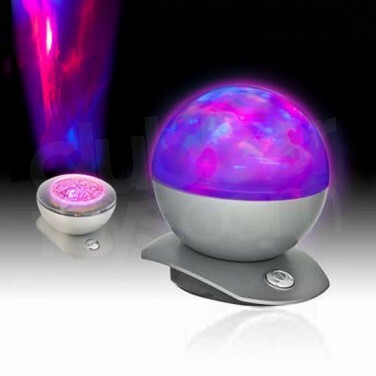 This glowing sphere combines a constantly moving laser plasma effect with a gentle wash of coloured LED light to create a beautiful mood lighting effect that you can project onto your walls or simply confine into the sphere itself for a gently fading hypnotic light show. Watch the video for demonstrations of both the diffused 'sphere' and projection modes. We're sure you'll agree this is one mesmerising little light! 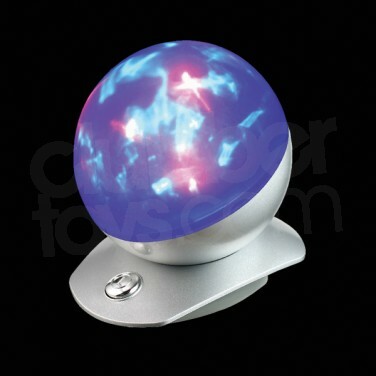 Project fabulous stars into your home and relax in the soothing atmospheric light emitted from the Galaxy Light. Battery powered and so fully portable, this fantastic little mood light can be used for relaxing with or even to brighten up your party lighting.